More than any other pinup girl or star of the silver screen, Marilyn Monroe (1926-1962) has captivated the minds of an entire generation. With her come-hither stare and womanly figure, she continues to be one of Hollywood's sexiest women. While many photographers captured Monroe's obvious sexuality, Eve Arnold, the only woman to have photographed her extensively, captured some of the most tender images ever seen of the Hollywood starlet. 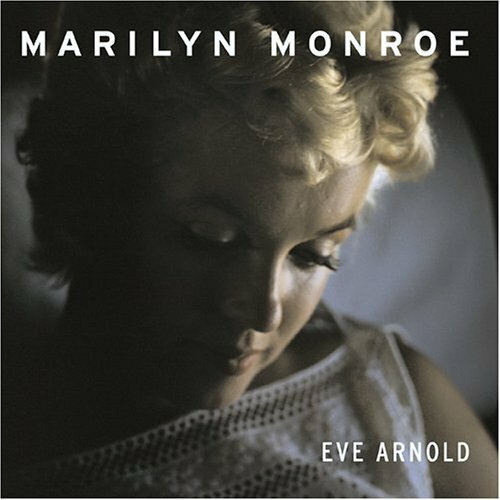 Following a 1952 photo shoot for Esquire magazine, Monroe and Arnold forged a wonderful friendship. Marilyn Monroe chronicles the six photography sessions that took place over the course of their 10-year bond, including a two-month-long session while Monroe was shooting The Misfits. With almost 100 photographs-this new edition includes 48 previously unseen photographs not published in the long-out-of-print first edition-combined with Arnold's revealing text, this poignant book gives great insight into the career and personality of one of the world's most beloved icons. Perfect for fans of Hollywood's golden era and anyone intrigued by Monroe's captivating image, this book shows a sensitive side to Marilyn Monroe that is rarely seen.